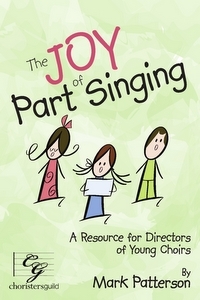 The Joy of Part Singing is a resource that will help children's choirs experience greater success in part-singing through short, accessible warm-ups, vocal exercises, rhythm chants, echo songs, mini-descants, and rounds. While some of these exercises are for rehearsal only, others may be shared in worship or in concert settings. Everything presented in the book was born out of the author's own need as a conductor of children's choirs. Even if your choir is currently working towards solidifying a beautiful, unison sound, these activities will help singers build the foundation for singing in multiple parts in the future.